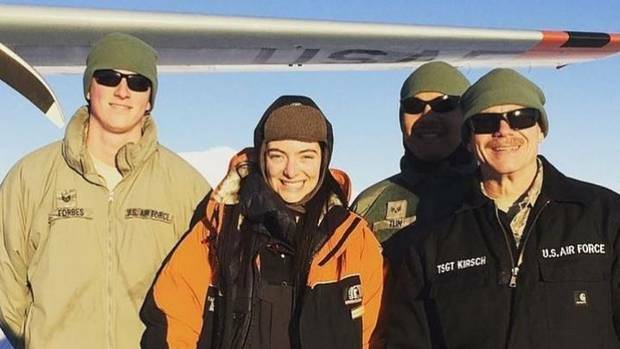 She hasn't been seen nor heard from on social media for months, but Lorde has been spotted staying in one of the most remote parts of the world in the name of environmental science. The pop idol visited Antarctica with scientists and paid a visit to the Polar Trec laboratory at Scott's Discovery Hutt, Ross Island, near the McMurdo Science Station. While on her trip the singer, whose real name is Ella Yelich-O'Connor, looked under a microscope to examine tiny polar animals researchers were studying and stayed for an extensive educational chat with scientists. One scientist thanked Lorde for her interest, saying it's important to highlight the environmental changes happening in the polar regions. "Maybe she'll write a song or put a lyric about what lives under the microscope for you all. It is important for famous people to take notice about the environment and in particular, science and the polar regions," Janet Warburton said.